Our coconut water’s easy opening system is now even more ecological thanks to a new and unique coconut fibre ring. Just one more step in our desire to innovate in a 100% certified organic and natural coconut water. We have improved our easy opening system to enforce even more our strong commitment to the environment. This is the main reason why we have changed the metal ring by a unique ring made by recycled coconut husk fibre and natural resin. 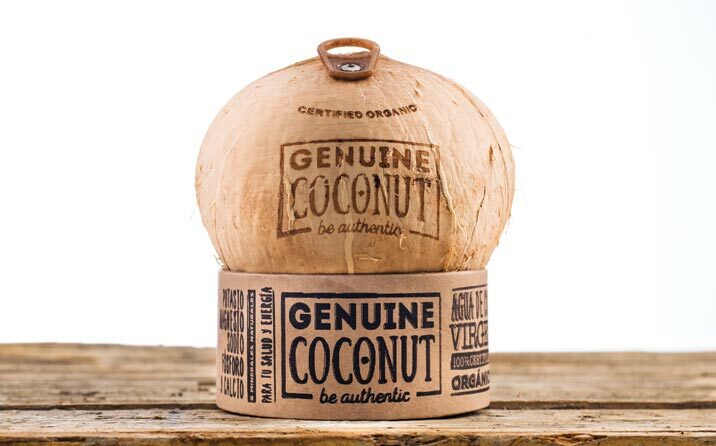 At this way we are able to achieve that Genuine Coconut becomes a 100% organic certified, ecological and almost totally biodegradable drink thanks the use of all the coconut resources.